provide (a house or room) with furniture and fittings: the proprietor has furnished the bedrooms in a variety of styles. (furnish someone with) supply someone with (something); : she was able to furnish my home with one-of-a-kind, New Orleans inspired accents, custom drapes and pillows. be a source of great style and expertise; provide. Fur • nish is The Definition of Style. We are re-defining how New Orleanians decorate their personal spaces. Handmade, local designs and quality craftsmanship are at the heart of our business. 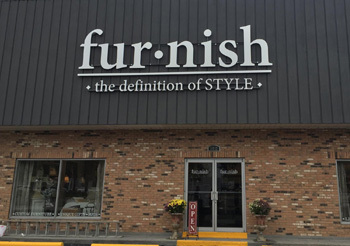 From French traditional to rustic contemporary, and everything in between, Fur • nish provides the largest selection of custom furniture, fabric and trim. As a New Orleans locally owned and operated business for over 40 years, our staff is dedicated to furnishing our customers’ homes with timeless, one-of-a-kind designs, backed by personal service. We are NOLA made. NOLA proud.